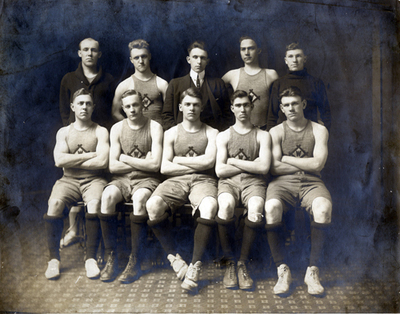 The first basketball game was played against Bethel College in 1914. WKU won 28 to 21. This is the team photo published in the February 1915 Elevator. If you recognize this photo and can help identify the people in it, please send feedback - above.